Oh no! Someone has snuck into the estate of Heathcote Barbary, rhythm guitarist for the Weird Sisters. And what's worse? They've stolen some of his prized possessions - his collection of famous Muggle guitars. He spent years collecting those guitars and is desperate to get them back. 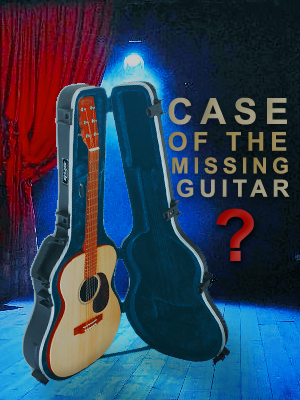 Can you help Heathcote locate his precious guitars in Case of the Missing Guitar? Start off in the Fandom Forum and follow the clues! You may just be rewarded for your help. From starting your gardens to getting ready for Easter, April is the time to enjoy spring! Spring is a time of renewal and rejuvenation, both in Nature and for us shaking off the last of the winter blues. Follow us in April's issue as we get our hands dirty planting those gardens. Do you want to become one of our journalists? The Daily Prophet is now hiring new writers! Head over to our Applications thread for more information. Did you miss an edition, or want to re-read your favorite articles? Check out our Official Archives to get your hands on all of the Daily Prophet's former issues. If you have any concerns regarding the Daily Prophet, please contact Breanna or Janelle. You may also get in touch with Cody, Karli or Steph from Publications Management. It seems that several students managed to get their hands on some vials swirling with memories. After finding a pensieve in the Room of Requirement, they dumped the memories into it. Now, it's up to you to follow them through the ten memories and see how things came to be at Hogwarts as the Caretakers present the Caretakers Decathlon - Hurtling Through Time! Be sure to watch the Student Hangout's Watch Thread and our Student Corkboard for regular updates on the happenings inside the walls of Hogwarts. Learning which wand chooses you is one of the most exhilarating experiences you could possibly find in the wizarding world. Your wand is what hones your power, helps enhance it, becomes one of your most trusted magical tools. The Hufflepuff staff invite you to come behind the scenes as the great Garrick Ollivander's apprentice in Wanderlust! We look forward to seeing you all there. Arts & Graphics is Hiring! 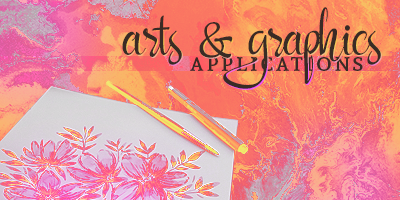 With all the growth and changes that the Arts & Graphics Forum continues to see, we're finding ourselves in need of a bit more help, so we've decided to open applications to join our moderating team! As the central hub of all creative activity here on HEX, A&G is always looking for ways to encourage and challenge users to expand their artistic abilities in all forms of art - digital, traditional media, photographs, writing, poetry, and everything in between! If you're a creative person and find yourself interested in moderating on HEX, be sure to click on the link below and check out our application! All applications are due by April 25th. With Moaning Myrtle having enough of the underwater creatures, a prank war has arrived. Together with a friend, it's up to you to determine how it ends inthis month's roleplay. All entries are due by April 30, 2019 at 11:59 p.m. HEX time. The Teaching Center is back at it again with a full set of learning opportunities and activities with House Points up for grabs! 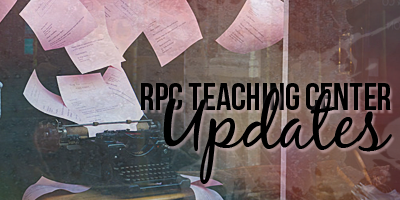 Through the past months, we in the teaching center have focused on a number of different roleplaying aspects. Though all of these different aspects are very important, arguably, no aspect of roleplaying is more important than grammar. Grammar helps improve how we are understood, allowing for us to be heard, and to express exactly what you mean to your readers and your partners. Join us in Grammar 101 to get practice on editing and correcting roleplay grammar. Then, try using your skills to make your own posts in this month’s Beginner Roleplay Surprise-Surprise, and tell us about a surprising situation! Additionally, the Teaching center would like you to congratulate our Student of the Month for April, Kasey ! Do you think you've got what it takes to be the next Student of the Month? Check out the Student of the Month thread to learn more about it! Last but by no means least, we are on the lookout for new mentors! Think you have the skills to teach others how to roleplay? Then check out our Mentor Applications to learn more about becoming an RP Mentor! April is here and educators everywhere turn their thoughts to what they'll teach next term. 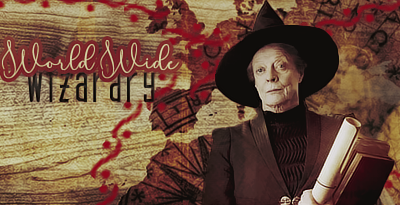 Prof. McGonagall is no exception. But she's taking no half measures when it comes to improving the quality of education at Hogwarts. She's taking a world tour to other wizarding schools to gather ideas. Come join her as the United Shopping Forums proudly present World Wide Wizardry. And don't forget the Quarterly Raffle. It's a new quarter with new prizes, so be sure to check it out and participate in the many contests and activities you'll find across the shopping forums. You just might earn some house points along the way. Watch the raffle thread for updates on those contests. April showers bring May flowers - and also some new and exciting things over in The Newsstand. To start, we have the March Daily Prophet focusing on women in all their glory. Our April discussion takes this wonderful theme and runs with it. So come join us in talking about historical and inspiring women! Now, what would you consider the opposite of May flowers? Did you just say garbage? Because that's exactly what the Quibbler served up in March. No, I'm not talking about their extraordinarily talented writers - just their topic, which took a heavy look into spring cleaning! Our discussion this month focuses on just that - your trash. Not all of our publications took the bright and happy route with their issues last month. The WWN's broadcast took a dive into the dark, examining the biased era of pureblood-superiority. Our contest this month takes a stab at recreating what it's like to move in secrecy as a targeted member of society with some puzzles for you to solve. Come join us in When Evil Prevailed. Participation in any and all of the events this month could earn you not only some House Points or other shiny prizes, but also tickets to the Newsstand Quarterly Raffle! This month, the RPC is traveling back to our childhood as we read fairy tales and play with toys. Let's begin with a story, shall we? Once Upon a Time, two fairy tales collided headfirst. But - uh oh! - what happened next? Only you can tell us in April's Roleplay of the Month. After writing about some fairy tale characters, take some time to explore who is hiding in your imagination. Come over to the Freestyle and tell us all about your Concealed Companion. Unleash your inner child, and let them have fun with their make-believe friend. Over in the Lounge, we've found a toy! But it unfortunately seems to be lacking some important details. We need some help fixing our Jack-in-the-box, but What's in the Box? is up to you! Finally, we have some whimsical prizes in the April Participation Raffle that could be yours if you join our playtime this month! Let's get creative in the Social Media forum this month! Let your creativity shine in Prompts & Crafts. Grab your art supplies and join the fun! How do you like to #hashtag? Discuss this and more in April's Monthly Musings! April brings a new batch of monthly trivia questions! Scroll on over to I Bet The Muggles Won't Know About This! to check them out! Do you want a chance to win the Social Media exclusive item or House Points? Visit our monthly raffle Platform Ponderings for all of the important details! 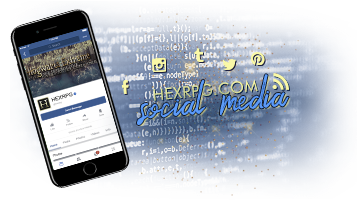 A new Social Butterfly is fluttering around HEX! Interested in earning this title and a snazzy new avatar? Check out the details here! The Arts and Graphics Forum is prepared to fight global warming issues faced by both the Muggle and magical communities and celebrate Earth Day for the month of April! Indulge yourself using different types of recyclable items to create a new hub for our magical plants in this month's Graphics Challenge or help yourself to build a new home using your imagination in this month's Writing Challenge. Show the people that you care not only for the magical community but the Muggle world as well! Throughout the month, we will also have our Weekly Prompts for you to get your creativity flowing. We are certain that you all must have heard of our Blotting the Parchment Incentive Program! 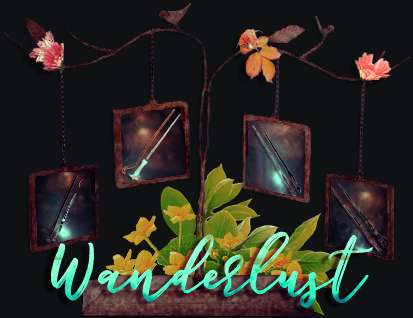 If you have not, it is your chance now to learn about the different ways to earn ink spots to win our exclusive Enchanted Paintbrush! Don't forget to check out our Mentorship Program too while you are here! April is here, and the new Apprentices have been hard at work trying to find you a job. Where, you ask? Well, it appears the Ministry is hiring and you may just be worthy. Find out with the Ministry Entrance Exam. But the Vault has plenty more besides. Don't forget the galleons available in the Contest System. And if you have any questions about the Archives or the people who run them, then maybe you should ask in The Archivists and Where to Chat with Them. All comments and concerns are always welcome, too, in the Magical Archives Comment Box. But with a dozen forums, there's plenty else to enjoy. 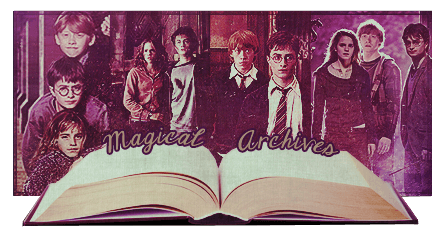 Check the Table of Contents to see all the goings on in the Magical Archives. And be sure to keep tabs on the Watch Thread so that neither the house points nor the Book of Records will slip through your fingers. It seems HEX is about to learn all about what happens when magical experiments go wrong! Newt Scamander was attempting some sort of shenanigans (he's refusing to explain properly), and now everyone has been turned into different kinds of creatures. We're sure Newt and all the other Magizoologists think this is a delightful turn of events, but the rest of us aren't so sure. On the other hand, we haven't heard a lot of complaints yet, just a bunch of squawks, squeaks, snorts, and snuffles. Newt promises us he's working on a cure, so we can only hope this animal epidemic won't last forever. But until things are fixed, you'll find all of your avvies are creatures and all of your posts are creature speak. The only place you'll be able to talk normally is right inside Newt's Trunk.